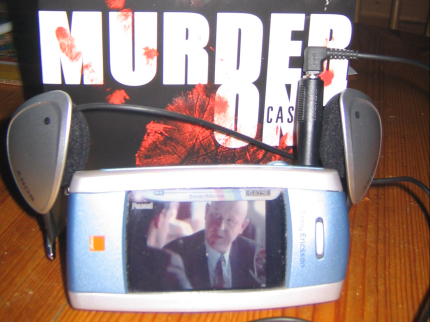 Yay, my Murder One DVD arrived on Monday, I have since converted the first 16 episodes to MPG, and of those 8 to an AVI format that is suitable for my phone. I’ve so far watched the first 4, whilst travelling on the train to and from work and the show is better than I could remember. Using my new headphones, and that massive adapter, the sound quality is great and loud enough to be heard over a rattling train.